یکی از نقدهای مطرح شده به اتصالات پیشنهادی بعد از زلزله های نورثریچ و کوبه، تخریب تیر بعد از وقوع زلزله، دشواری و مقرون به صرفه نبودن تعویض آن پس از زلزله می‌باشد. به همین منظور ایده استفاده از اتصالات همراه با میراگر شکافدار (SSD) که موجب استهلاک انرژی و تشکیل مفصل پلاستیک در مکانی غیر از المان‌های اصلی سازه‌ای میگردد، مطرح شد. در این مطالعه ابتدا مقایسه‌ای بین اتصال SSD و اتصال تیر با سطح مقطع کاهش یافته (RBS) تحت بارگذاری چرخه‌ای انجام شده است. 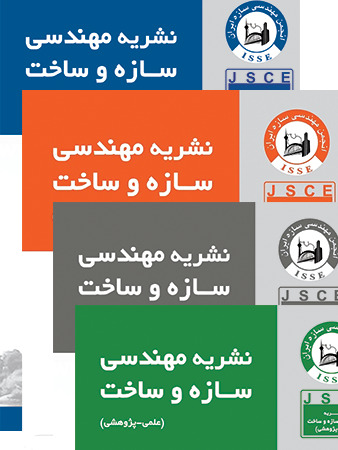 در ادامه پیشنهاداتی به منظور بهبود عملکرد اتصال SSD با قابلیت استفاده در قاب‌های خمشی ویژه مطرح گردیده است، که این پیشنهادات شامل افزایش ضخامت و تعداد نوارها و همچنین کاهش ارتفاع میراگر بوده است. نتایج مطالعات نشان داد که اتصال SSD از لحاظ عملکردی تفاوت زیادی با اتصال RBS نداشته است و مطابق با ضوابط لرزه‌ای اتصالات از پیش تایید شده، امکان استفاده از این اتصال در قاب‌های خمشی ویژه وجود دارد با این تفاوت که نیاز به تعویض آن پس از زلزله نمی باشد. همچنین نتایج نشان داد که افزایش ضخامت و کاهش ارتفاع میراگر بر خلاف افزایش تعداد نوارهای آن، بر روی عملکرد اتصال SSD تاثیر بیشتری داشته است. نتایج نشان می دهید اتصال SSD علاوه بر سهولت تعویض می تواند عملکردی مشابه اتصالات RBS را از خود بروز دهد. 2Department Of Civil Engineering, College of Technical and Engineering, West Tehran Branch, Islamic Azad University,Tehran, Iran. One of the drawbacks of the mentioned connections after Northridge and kobe earthquakes was the destruction of beam after earthquake, difficulty and non economical displacement of the beam. Several studies are being carried out on a variety of materials and systems that dissipate the seismic loading effects in order to improve the seismic performance of steel frames. By placing dampers in the beam column connections, damage to the beams and columns, which are very difficult to replace after an earthquake, was prevented during an earthquake. During the design process of dampers, in order to concentrate the earthquake loads on the damper, it was manufactured intentionally with a lower strength than the beams and columns. Through this, beams and columns are protected from damage by utilizing the energy absorption capacity of the damper. Slit damper is a plate or a standard section with a number of slits in the web. The damper is attached to the beam by bolting a plate on the damper under the flange of the beam. In this study first compared slit steel damper connection and connection with the reduced beam section (RBS) under cyclic loading. Some suggestions were provided for improvement of the performance of slit steel damper connection and for making its behavior similar to that of reduced beam section connection and transforming it to a connection which can be used in the special bending frame; and these suggestions include increase in the thickness and number of stripe and decrease in the height. the results and simulations showed that increasing in the number of strips, the increase in thickness and decrease in the height of the SSD damper affects significantly the performance of SSD connection.